Cruden will highlight the benefits of simulators to crew training for high speed boat handling, navigation, drills and tactics scenarios at I/ITSEC 2018.
and protection to trainers and trainees from physical stress. 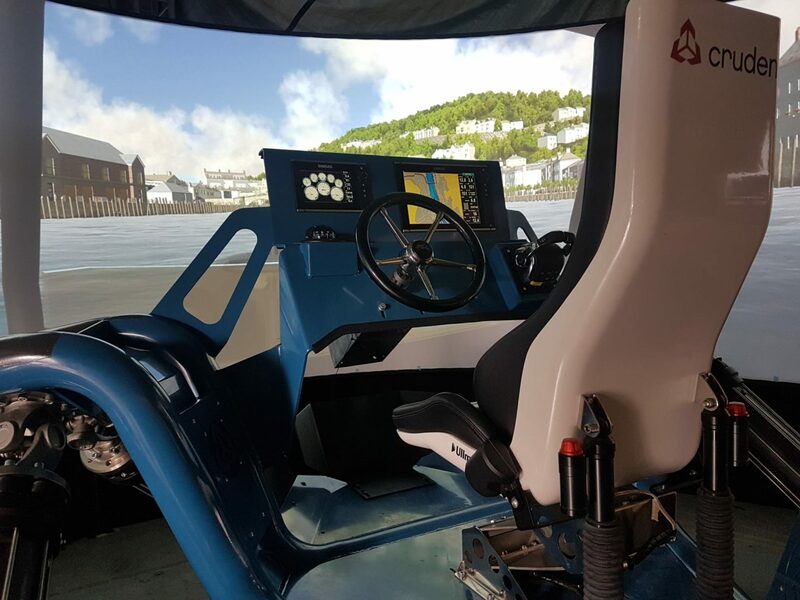 While scenario-based simulator training is established for larger vessels, we have introduced a completely new concept in the high speed boat simulator, which uses detailed modelling, motion-cueing techniques and professional image generation, to present a cost-effective solution for any training situation where motion and dynamic feedback are important factors. Our experts in attendance at I/ITSEC are also deeply involved in simulation, modelling and training for ground-based vehicles. As an important feature for military and law enforcement: Weapon simulation can be added as a fully integrated solution.